Valvoline Instant Oil Change Edgewater, MD, 57 Mayo Rd. Friendly workers, efficient business model, absolutely no pressure to buy additional services. The manager who waited on us was very knowledgeable, kind, and helpful. The staff were very friendly and helpful. I was impressed with how they worked as a team to complete the service on my vehicle and the other vehicles as well. I have used this location/company for years and have always had great service. They let oil drip all over the engine compartment and on the outside of the vehicle. The should use a rag to put over the oil container to prevent drips. knowledge of all the techs, also very polite-answered all my questions--im very satisfied with everything.. THE PERSON WORKING ON MY CAR NEEDED TO SPEAK UP AND SPEAK MORE CLEARLY. HE ALSO WAS A LITTLE SLOW MOVING. VERY NICE GUY. I received professional service and attitude. The team functioned very well and got me in and out in about 15 minutes. Very impressive. This was my second time at the Edgewater store. I was worried about one of the grease fittings, the one at the rear of the IDLER arm,I have had trouble with it in the past,need a right angle grease gun to fit the fitting,I use to do all my own oil changes and grease jobs for the past 65 years,I am finally old enough to let you do them. Thank you for the good service. The service was quick and effective and the staff was kind and helpful! It was relatively fast and reasonably priced. The people were all pleasant and seemed professional. It was also at a convenient location. My record(s) with Valvoline will show that I am a return customer. I willingly take the time to answer your survey which should tell you exactly why I continue to bring my vehicle to this facility. First time user. Did not have to leave car for service which was great. Will visit again for certain. My battery died during the visit because of known to me corrosion. The crew cleaned the terminals thoroughly, then sealed them. All without me asking, and at no charge. I wish I remembered their names, but it was Bay 2 at approximately 9:00 am on Saturday, March 9. The Mayo Road, Edgewater, MD location. Very, very helpful. Very well run facility, experienced technicians. I was in a little hurry to get to an appointment and the oil change was completed quickly. I have used Valvoline, Edgewater, MD facility, in the past for my 2016 Honda Odyssey and my 2009 Honda Fit. The service is performed in a timely but efficient manner. The staff greet you when you pull in with a smile and are very customer friendly. The employees were very polite and knowledgeable. The shop was very neat.Service was quick and efficient. I drive farther than necessary to visit this particular store because the staff, although there have been changes in the personnel, has always been professional and courteous. The team led by Chrissy I believe her name is was extremely thorough and knowledgeable and friendly. You can’t really beat the price you pay for the great customer service, expedited maintenance, and the number of team members performing service. Thank you all and keep up the great work! My first visit. I was impressed with staff, courteous and knowledgable. Not high pressure. Done in timely manner. Lee was professional, very informative and pleasant. I have no complaints with the service. In fact, something I mentioned in the last survey was corrected so I wanted to thank Valvoline for noting that concern and addressing it. Service was prompt, thorough and courteous. Every time I visit the Edgewater location,everyone is always pleasant ,friendly,and professional.I appriciate the fact that they educate me on any problems but never pressure me into getting extra services. I was advised of a feature on my car that I didn't know about. A replacement was installed. Unable to have my oil level checked, was directed to a nearby facility ( Mr. Tire) promptly took care of it. For Free! I was in and out quickly, the staff are friendly and not pressured. Thank you. Super fast, friendly and knowledgeable. I was in and out in less than 15 minutes. They were quick and polite. They mentioned items that could be done for maintenance, but did not pressure me into getting the services. Most places kind of bug you about it. They tell you what they are doing, check lights, tires, etc. Show you they have put oil in the car.Tell you what maintenance they recommend for your car. I don't think my radiator had ever been flushed which they did for me.The location is very easy to get to and in my path many days, very easy entrance and exit. Easy in easy out , pleasant staff !! The entire staff was very nice and took the time to educate my teenage son on how to check the oil level. Very friendly service for a reasonable price. This was the first time that I ever had to wait. Nice, explained everything in detail. There was time in the middle of the oil change when I wasn't sure anything was happening. A second employee came over and finished the process since the first person was now engaged with bay 1. Team was friendly, quick, experienced, straight to the point, got me in and out quick, no bs, and with out hesitation showed me my used filter when asked. I have had a lot of bad experiences around with shops not replacing the filter. One place I actually had to sharpee the filter to catch the lazy liars. Visiting the location in edgewater... the service was amazing! Everyone was courteous and helpful. They explained everything they were going to do and even showed me how I could do things myself. Definitely would visit this location again!!!! Service is always quick, friendly and professional. I do not go anywhere else. I wish the prices were a little lower. I feel like I overpay when I get an oil change here. Technician was professional and I was aware of what was being done at all times. They provided quick and efficient service. Quick and convenient. Quality staff.A bit expensive though. Customer service was impeccable and the work was done quickly. Great people very friendly. I went to this store after trying other oil change places. This store is now my go to for oil changes and tire rotations.Five star employees! Asst. Manager is very nice. Allowed to search for a coupon to get oil change cheaper on my iPad. The assistant manager was very thorough and professional. She answered all of my questions well. Great workers, very friendly and knowledgeable. Would recommend this shop to everyone. Friendly, knowledgeable and walked me through details under the hood so I knew what was going on. This was my husbands vehicle, who passed away, so I needed some reviews. It was speedy didn't have to get out of car and everyone was nice! It a fast wat to get the oil changed and the employees are courteous. My only issue is the price its getting way to expensive. Great staff, Very good service, Clean and organized shop!!! Always helpful and respectful, I know I will get quality service at this location. The staff member “Sean” was very polite, professional and was happy to answer questions I had. Very knowledgeable. Even though there was a long wait (which is expected when a lot of customers show up at once) Sean’s positive attitude and friendliness made the experience a great one. The crew that was on duty at time of my visit appeared to be more professional than any prior visit to this or any VIOC. Knowledgeable enough to R&R air filter effortlessly vs battling with housing. In the past, another vehicle, I had the filter housing damaged w/o advising me. I was unable to determine when/where. My driver side headlight went out. I drive at night so headlight is pretty urgent repair for me. This location didn't have my bulb so I went to another parts dealer brought back the bulb and valvoline installed it for free! Peace of mind and wonderful service !!! I love valvoline!! It was my first time using Valvoline Instant Oil Change and I appreciated that I could pull right in and get my oil changed without having to wait. My service tech was friendly and helpful as he explained the process. I felt like the prices were fair and I didn't feel pressured to get a lot of additional services I didn't want. I will be back in the future. Colby was the gentleman who rotated my tires and he was very polite and hard working. I saw no one playing around. Service, attitude,knowledge were all excellent. The only reason I stated that I was only likelyto come back is that I currently have free changes at my dealership. Once that expires Iwill definitely retutn. Your tech was amazing and listened to me when I said that all I wanted was an oil change. He didn’t try to sell me more because he knew I was in a hurry. I hate when they pressure you, and he didn’t. Floyd was his name. Kolby Hunter was in charge and knew what he was doing. He was courteous and knowledgeable. They were efficient and friendly. Great experience and I did recommend immediately to my friends. Highly Satisfied is not a recommendation I give easily. The service was good... Did I leave Higly Satified no. But that doesn’t mean the service wasn’t done properly. I have been going to this particular service center for a couple of years and the people are the BEST, extremely friendly and fast, I don’t know what your doing but keep up the GREAT service !! Quick and courteous technicians and its very convenient. Knowledgeable staff that explained all facets clearly. Team member were respectful of my vehicle. This is a well run & staffed facility and everyone is always polite & professional. Always a pleasure to have service performed here & will continue to do so. Always good customer service and never a long wait. I was highly satisfied with my experience at this Valvoline instant oil change because my rep explained what was included in my choice of service, quoted me the price, and was very professional in his performance of the work once I said okay. He also folloed up to make sure that I was happy after he finished. Lady was very professional, personable, and knowledgeable. Not pushy at all. Great employee. It was a very quick trip and everything seems to have been done cleanly and correctly and they were clear with prices and what they would be doing. It was done much quicker than another local automotive shop and without an appointment which was very appreciated. The attendant was courteous and friendly. Service was quick. I had a coupon. I am because i'm in sales and don't have a lot of time to wait. I'm in and out with in 15 minutes. Compared to the dealer the service is much faster. The oil change is quick, easy, friendly and fairly prices. Timely and the price was right! The woman who seemed to be the crew leader was pleasant, knowledgable and efficient;I received a discount since I had forgotten my coupon, and that action reinforced my intent as a repeat customer. The lady was very helpful and even recommended that I not have the oil change since it was synthetic and I had only driven 2000 miles. They rotated the tires in a timely manner. Great service. Location is a plus, attendants are friendly and the service is good. Prompt, efficient, friendly, accurate... and I had a coupon which made it a good value. The employees was so helpful and friendly. The base price was high compared to Mr. tire for full synthetic oil change. Mr tire includes tire rotation with inspection and oil change for about $10 less to start.My car like many others takes more than 5 quarts. You charged 9.99 per quart over 5. At your base price I would think you could cover the 6.3 quarts.Your coupons are not very in enticing. &10 off for full synthetic.....How about a 69.99 or even 79.99 promotion. I might return if those pop up. I was satisfied. Not highly because it’s an oil change. Who ever feels like they are getting something with their money for an oil change? It’s an expense. Not a stay at a 5 star resort . How excited am I supposed to get. I appreciated not feeling as if I was being pressured to buy anything. I like that she explained my options rather than pushing them on me. We have been customers a long time. We brought my mother in laws vehicle this time instead of her taking to the dealer. We like being able to sit in the vehicle while they do the work and everyone is always very friendly. I have used this station many times in the past and never been disappointed. However, used another facility before and been very disappointed. The personnel at this facility are very thorough. I have used this store for all of my oil change/tire rotation/ windshield wiper replacements/ in cabin air filters since the purchase of my vehicle. I could go elsewhere but don’t even bother to shop around. The staff is nice, my time is valued, they suggest when I should have services done but do not push me into doing it right then. This last element is the most important. When I have time and the bay with the lift is open, I get everything done in one fell swoop. The time piece is most important. I am in and out on full service visits in less than 45 minutes. The tech who I dealt with was professional and knowledgeable. performed the services i asked for. Been using Valvoline for a few years. Because of the speedy staff, thoroughness, friendly and courteous. I had to wait for longer than expected outside and then again inside when my Technician went off to help another Technician who was having trouble with another Customer's car. My Technician wasn't very engaging and didn't reduce costs on the two air filters I needed (which most locations usually reduce a small percentage because they know the filters are overpriced). $182 for an oil change, oil filter and 2 air filters...not a great deal. Won't be back here for a while. I've gone to a few different Valvoline's over the years, but this has been the best site, and I continue to return here with both our vehicles. They are fast, do a good job, and have handled every scenario without an issue. The people know what they are doing and always very nice. compared to the service I received from Jiffy Lube. I was really impressed. It was my first time and I always go to the dealership, but Valvoline was first choice for a Sunday. The lady was super friendly and explained everything thoroughly, showed me my filter, and explained everything that was happening. Christi and Lee were professional and courteous. They answered all of my questions and explained the oil change process to me. Always very nice people that work there and very informative about my car. Never feel pressure to buy anything but always informed when I need something done. On my first visit I had a better experience with my technician (a younger woman, I didn't catch her name) who talked to me about options for oil weight when they didn't have what I wanted (5w20 full synth). she also provided me the recommendation not to change my engine filter for another oil change or 2. I wish this had been notated in my file because in my most recent oil change my technician just asked if I wanted to change it, and provided no recommendations. I wish, when checking the front and rear lights, the technician held up a mirror or something so I could know for a fact when he says a light is out that he is correct. another option would be to add camera linked to a computer screen visible to the driver showing the front, rear, and underside of the car. they have a similar setup at the lube center in Crofton. Lastly, it is super annoying that only the first bay has a lift for tire rotations. each bay should have this capability so people don't have to wait for this service. it took a long time for my tire rotation as they seemed to have difficulty balancing my car on the lift, but I was happy that they used the proper torque setting to tighten the lug nuts. great quick service. always use this store for my oil changes..
Staff is courteous, fast and knowledgeable. Its usually quick. Sometimes even faster than Micky D's. Oil changes are very expensive. There was nothing wrong with the service or the personnel. I just wish oil changes weren't so expensive these days. My primary contact was very knowledgeable and thorough and communicated well. He was very courteous as well. Customer service was great. Very aware of pricing and services offered by Valvoline and wasn’t trying to be oversold. I was never pressured into buying or replacing any services or parts. My car was serviced by more than one technician. Everyone worked together so nicely to get the job done! I have a tricky hood that does not latch properly, but every time I come in, the techs always make a point to fix it for me before I drive off! I also had a check engine light and the tech was so nice and attentitive when I asked if it could be read for me! The printed stickers are always awesome to have because it is a great reminder of when I need to come in next! I was immediately greeted and told what would happen. I was shown my choices and options. The service was quick and efficient. This was a great experience. I was pulled into the bay quickly. The very friendly gentleman helping me explained everything and the prices. We even talked a little about how we enjoy the Grand Caravan. My service was performed quickly and I was on my way. Great trip all around. The service was quick and the staff was friendly. They had me in and out. I thought my fog light was missing and I asked if it could be replaced. The guy said it wasn't missing but was just hanging down from the socket. The casing was broken so he screwed a little hole and fixed it for me. He really went above and beyond. I feel like I can get more done at Valvoline now besides just oil changes. My trust in Valvoline didn't change, because it is already very high. This particular station has a great corporate culture, and even though I do a lot of my own car work, I keep returning to the Edgewater shop. Great staff! Good service values. It was quick and everyone was really friendly. My ONLY issue is that my tire pressure wasn't checked. I noticed one of my tire was overenflated before pulling in, didn't mention it as I thought it was standard to check them, and noticed later that night that it hadn't been checked. Ryan was great. Knowledgeable. Fast/hustle . A Clear communicator. And friendly enough (polite but not a kiss a$$). You can tell he works hard to provide quick high quality service. You should retain him. Engine making a noise it did not prior to the oil change. Everybody who working inside they knows what they are doing and also they are all friendly. fast, efficient, knowledgeable about products used for my particular car and very courteous. Staff very friendly and professional. Christy was especially helpful. Always treated with respect. Employees are kind and efficient. Pleasure to work with. Workers were efficient, friendly and great to work with. I don’t recall the young lady whom took care of me but was amazingly friendly and knowledgeable. It was 100 plus degrees out and kept on smiling thru! Cudos to this amazing location! The staff were all very professional and ensured everything on my vehicle was in working order. They made me aware of things I might consider replacing, but didn't pressure me into making a purchase I hadn't planned on before arriving. I am very satisfied with this Valvoline location and bring both of my vehicles there for all my oil changes. I was in and out in 20 minutes even with waiting. Polite and courteous team members as always. Just wish it was a little less expensive for full synthetic. Floyd was very helpful, friendly and very nice. Customer service was the best. Very professional, very attentive to detail, and very clear on services and costs. They were polite and worked quickly and efficiently. The Staff was knowledgeable, and the service was completed in expeditiously. I always get great service from a friendly and well trained staff. The staff was friendly and helpful, plus their knowledge caught an issue with my headlights, which were replaced. Professionalism, personified! I was taken right away. I forgot the guys name that worked with me but he was very nice. He did talk a little bit too fast. He was actually able to find a mouse nest in my car's a/c vent. They kept me informed as to how long it would take to get my car into the bay. Friendly and pleasnt no pressure! Great service. No upscale pressure. The crew visibly got along well. They treated graciously and respectfully. The facility was immaculately clean. At the edgewater location the servicing tech looked to be going through the motions and not being very informative about the process. Also came home to oil dripping from when oil filter was changed. Went to take my other vehicle to the cromwell location in glen burnie and it was a night and day difference where each employee was very professional, informative and polite. Represented the company in a good way and were proud of what they did. Will not be going to edgewater which is less then a mile from my work but will instead go to glen burnie location. The edgewater location just needs some better management. I was impressed by staff recommendations of what my car would need soon but not intimidated to purchase something on that alone. I also asked for old parts that were replaced to be inspected to make sure your staff was truthful but have yet to bring to my brother who is professional mechanic. 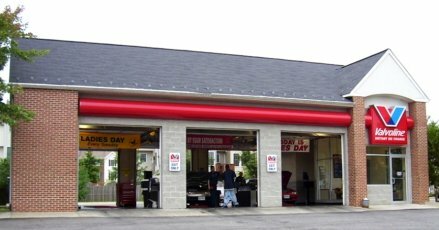 I bring my car to Valvoline for years cause my brother is super busy and have always been satisfied with the Edgewater, Maryland store for my previous oil changes. I enjoyed the customer service, knowledge, and attitudes of the employees. Very professional and put a smile on my face! staff were courteous once I was in the bay, facility looked clean, was not expected to upgrade any products or to purchase anything that I didn't feel the need for. Everyone was very competent and efficient at the service. Very professional and courteous staff. Had me in and out and took the time to explain everything to me. The manager/coordinator was top notch - professional competent and just on the ball. The other staff just invisibly did their jobs and in a short time I was done. And the coupon price I paid was very reasonable. Did what I came for! Quick,courteous, informative, price, ongoing history, convenience and reliable. The service technician was incredibly courteous. He was pleasant and didn't pressure me into any unnecessary services. I was in and out in less than 15 minutes which is much "jiffier" than the competition. I'm a customer for life. The service was excellent and the overall experience was great! Every time I visit the Edgewater Valvoline I am impressed with the customer service, this visit was no different. Charles was very friendly and informative. He made sure I was comfortable during the visit and was very clear about the entire process. Any recommendations he made was done politely without pressure, at one pint he even recommended a part change they did not carry but offered to install it for free if I returned with the part. Employees were very friendly and explained everything that they were going to do very clearly. Members were also very professional. Quick & efficient service. Explained each phase of what they were doing - great job! Friendly & knowledgable staff. Took complete care of my service needs. We’ve been usIng Valvoline for years and always experience a very professional staff and always have a good experience. Last time I went here the service was horrific! I haven’t been back in months. Wednesday I tried it because I was in a jam and I was extremely impressed!!! I have been to multiple Valvoline locations. And the Edgewater location is by far the quickest friendliest and most competent location I’ve been to yet. Never had issues with anybody I’ve come into contact at this location. I would definitely recommend to anyone in the future. It is a bit expensive, and the wait was a bit too long. I was in and out in no time! The employees where awsome. I will return. It was just excellent quick service. He informed me that I was due for my vehicles 60k mileage service but did not pressure me to do it right then and there as it was my lunch break. I appreciate the candid and informative approach the technician took with me. The staff are very professional, courteous, and friendly. They do no pressure you into purchasing something that you don't need. I am very satisfied with the Edgewater, MD Valvoline. The technician scanned my car into the computer and it came up with no oil products available at the location. He took the time to make a few phone calls to get me going. Lady (forgot her name) that helped me, along with the man that worked on the car, we extremely friendly and helpful. Made the experience very easy, quick, and as non-stressful as possible. Courtesy, efficiency and communication by the mechanic. Both the tech and manger were professional, honest and courteous. Great crew - friendly, knowledgeable, UNDERSTANDABLE, thorough and prompt. Employees were friendly, knowledgeable, and worked in a quick-efficient manner. There was no wait and no pressure to have other services than what I came in for done. They provided me with a list of other services available for my car and the price. I liked that. I have used this location for years and always recommend it to my family and friends. Both of the people that helped me were friendly, helpful, and kind. It was so fast! I was in and out in no time! In and out in 12 mins. All so jade a break fluid light come on and they found a small leak in the master cylinder head and told me how to fix it. Not necessary, but greatly appreciated. Good job and good service and nice friendly people working there. Went early no waiting great service. The staff was courteous, smiling, and eager to help. Staff was happy, helpful, knowledgeable about the service I received that day. Very professional employees. Not pushy. Friendly. I like being able to drive up and get the oil changed with little to no wait. Fast, efficient although a little pricey. I spoke at length with the tech, Ryan, who answered all of my questions. He was patient, knowledgable, friendly and professional. I ordered additional services because of our discussion and his knowledge. Service was great but wait time was long. We had a twenty five dollar off coupon, which was honored. Very pleasant staff that were polite. The attentive service is of the highest. Car is older and as such requires maintenance checks which are important. The staff checked out the potential leaks and advised me about their concerns on status of potential repairs. I love my valvoline, everyone is always friendly, knowledgeable and never pushy. Thank you! The team was pleasant and informative and let me ponder their suggestions with no pressure. The staff at the Edgewater, MD location are really great people and take pride in there work. They are always informative and helpful. First, if after taking this survey I just get the same coupon I could get anytime by owing to the Valvoline website I will be highly dissatisfied. I do have a choice in multiple local oil change services and don't appreciate being jerked around. Generally it was a fine visit, but it felt like they were rushing beyond being efficient. Communication was careless, rapid and hard to understand. There were no customers behind me but it seemed they were rushing so they could get back to doing nothing. Additionally, in the past, and I emphasize, not on this visit, I am certain some employees were standing on the far side of the building smoking dope before coming around when we pulled up. These same employees worked on our car. Not very reassuring a feeling to drive a car that was worked on by people who were high.I had used alternate service centers for a bit after that but Valvoline is sometimes more convenient. One more bad experience and never again. I already tell people about the pot smoking incident. I got the car's oil changed between Christmas and New Year's, so a wait was expected. I felt no pressure to replace anything that was suggested and appreciated the advice. Years ago I had been going to this station for the oil changes but went to a new Valvoline station which is closer to home. After that new station's service started "going down hill" I decided to go back to the previous facility. I feel the service received at the facility in Edgewater is well worth the extra distance. Ryan was very cordial and incredibly knowledgeable. My new vehicle is highly computerized and he knew it's systems better than me. They were very friendly to me since I did not know much. The service was a very nice experience and it was quick and easy! Slightly better pricing is all I’m looking for. The service technician had an attitude that he just wanted to get the job done and assumed that I wanted to continue what the service the history of the car showed in the computer. He did not communicate well and I had to repeat myself constantly in order for him to get the information he needed for the computer. He seemed offended when I protested about the pricing that he had failed to clearly explain. I seriously doubt that I will be returning to have my car serviced at this location again. The customer service was awesome! Nice peopl they asked before doing the service of what their recommendations were. I always have had a good experience with this Edgewater location. I use to bring my car, which I no longer have, and started bringing my boyfriends car over three years ago and continue going here. Just a little more expensive that I could get at other locations/companies, but for now the service is worth it. Great staff. Technician showed me how to set oil change alert system in my car. Quite expensive for just an oil change. Usually do all maintenance myself but had little time and it was overdew. They do a fast and great job, all the times I have been go to this location. staff were all business like. there was no goofing off. Only downside was the the last 2 times I was there they were short handed cause an employee didn't show, running 2 of the 3 bays cause of that. The manager at this location is excellent. I value her opinion and trust her abilities. Service tech was friendly and courteous. He recommended parts that were not available at the location (air filter). I have used this Valvoline on many occasions. the service is always fast, friendly and the advisors are always informed. I have referred several people to this location. started out trying to take my car to the Annapolis store only to find out they were having an oil refill told to come back in 15 minutes. Did and was told they did not have my filter. Asked me to go to the Edgewater store. Did. Had no problems. Price for synthetic oil is too high but in line with Jiffy Lube. Too high. Although they did honor a coupon I had. Only question I have is why the new sticker in window only gives 3,000 miles for next oil change? Should be much higher. My truck with regular oil can go 5,000 miles between changes! The gentleman doing my service was very courteous and explained everything to me as he went along. Christy was super helpful and extremely friendly. Even got the kids coloring books and crayons while we waited in the car. The man who helped me was very professional and knew what he was doing. He was knowledgable and answered my questions. I have had oil changes at other places and after a week or so I had to add oil...a lot of oil Valvoline told me my truck took 7 qts and since I have not had to add oil. This means the other place was only changing and re filling with 5 qts. I will continue to use Valvoline from now on. My peace of mind means a lot to me especially when the job is done right the first time! Attendant not too articulate in explaining things. I use this store for all of my oil changes. I love the staff and will continue to go back. They completed the task of the oil change quickly and sufficiently. Very professional and cheerful staff really made it enjoyable! OOOH, but it was too pricey! Almost $200 for an oil change, tire rotation, and 2 air filters. Ow! It was so wonderful--they were like family. I can't wait for my next visit with my wife's vehicle. refreshing sometimes to experience people who actually just do their job. The service was quick and the employees were professional and knowledgeable. The cost for a basic oil change price has really gone up. The service from the people was excellent But cost is too much for retired people..for anybody. Felt pressured to buy extra services/parts. The staff could not have been kinder. My technician -- her name, I think, began with "J" -- was an angel. She told me exactly why I could not have a service (oil leak) and was helpful as to how I could get this fixed. Great service! They were very polite. It seemed they knew what they were doing. And for me a person being polite goes a long way. I will definitely be back to this location to get another oil change. Sat outside longer than expected. The mechanic had a thorough knowledge of my vehicle. His sister in Florida has a Fiat just like mine so he knew the oil filter is plaved awkwardly in the engine. He exhibited patience in removing it. I have had several oil changes at Valvoline, (two different locations), and all have been quick and efficient. I am impressed with the quality control procedures and the courtesy of the staff. The staff was friendly, knowledgeable, and helpful. After many times of Jiffy Lube trying to sell me things I didn't need (like an automatic transmission fluid change on a car with a manual transmission) it is refreshing to deal with an honest business. The employees were wonderful. They went very friendly and professional. Techs noticed that engine air filter house was missing a screw. They were able to install a substitute even though they weren't expected to do so. Quick and courteous service. Always get the job done right. I don't get very excited about oil changes. Everyone is always courteous and efficient. Never any problems. It was just an oil change and they did just that. Not sure I would call it miraculous but yes they performed their jobs well. Tough question, for a service center to be more enlightenly so you feel like another part running thru the assembly line. Maybe some music or visual scene screen to divert attention slightly. I wasn't advised if I needed an air filter or not. The last time I was there they showed it to me and even came into the car and the glove box to show me that filters status.I'd forgotten to say that I had a $10.00 coupon before the bill was given. Considering the $$ you charge that would've helped me out. I like the price and service. I am a senior citizen and don't drive a lot. The staff helped me with hood release and were very patient while I pulled into the bay area. (I was slow and cautious) : ). The staff are so courteous, friendly and act instantly as soon as i pulled my car in the service area. They are also thorough in checking if all the caps closed. I am very satisfied with the service i got. Thank you all Valvoline staff. More power to you all. As usual for each visit (I am a regular customer - but one who chooses which vehicle to have the oil changed and which to change myself, depending on my daily schedule) if special service is required the technical lead often has to show the newer employee how to perform it. I don't mind - I know I get better service from the deliberate nature of the training. My way of saying - I get good service every visit at this station. And this station has responsive, personable staff - every time! Speedy service. Care for my.vehicle. Edgewater location excellent staff,very professional but yet you still felt like you were at home . I went on a Friday evening & the staff everyone so friendly,they all spoke to me & please forgive me for not being able to quote their names I'm terrible when remembering names . I will for sure be going back for continued service's . I live in Waldorf but Monday thru Friday I stay in Edgewater taking care of my 97 year old great aunt . She is how I knew about your Edgewater location I took her car to get her oil changed in her Lincoln and that experience was just as wonderful as well . Honestly there is just not enough words to describe how comfortable they make you feel. & everyone gets treated the same . I'm 53 years old almost and have been in customer service my entire working career so I'm very observant &I they were perfect. Very friendly, very helpful. Simply, nice! Staff was pleasant and professional. I usually get my oil changed at dealership. I chose this station because my mother visited it in the morning that day. She could not say enough nice things about the staff working. Well done!!! Fast and was in and out in 15 mins. I was not told that I could exit my vehicle and use a waiting room. I didn't know that there was a waiting room. I always go here primarily because it's quick and close. The wait could have been shorter, but all bays were open, so it was just a timing thing. No one greeted me, but no one ever has, so who knew..... The employees were very upbeat and great. This was my second visit to Valvoline. I was less than thrilled with the fort visit and the employee forgot to take off my $5 coupon. This time was much different, the cashier was very friendly and knowledgeable, relating every step to me, giving me options, answering questions, while always keeping me notified of the total. No wait. Guy did everything I wanted without having to ask. Tire pressure, washer fluid, and also got air filter, all at tie of oil change. Not only was the service quick, your technicians were pleasant, helpful, and welcoming. We come there more often than going anywhere else because of the great service. I'm so glad you sent me this survey to complete because I was so happy with my service that I went on the website to share my experience and wasn't able to find a place to provide feedback. I have been going to the Edgewater Valvoline for quite some time and received good service. But this time was exceptional! And that's because in addition to just getting an oil change and being offered additional services, Freddie explained to me that there was an AC filter behind my glove box that might need changing and asked if he could take a look. He pulled out the filter and it was disgusting! I snapped a couple of pictures and texted them to show my husband and we got the new filter. There was no pressure at all from Freddie. He did a great job of keeping it real and educating me and I appreciate it. You have a gem in Freddie and that type of sincere, caring, natural customer service where the employee believes in the product and can "educate" the customer without "selling" is a rarity these days. Treasure him!!! FYI - because of the great service I received, my husband took his truck there that afternoon and I am taking my daughters car this week for an oil change. Thanks you! I went to the one in Annapolis first and they didnt have my oil but they were kind enough to call the edgewater location to check if they had it and they did so i went there and they were aware i was coming, they were very polite and the customer service was excellent! The price went up. It was a normal satisfactory oil change, there really isn't a reason to be "highly satisfied" with that. It was pretty easy and convenient. Staff was friendly. The main employee helping me was great but the other person (Cici) who was checking my car had a terrible attitude. She looked like she hated her job and even the main guy putting my information into the system said something to her about smiling or being nice. The woman didn't change one bit. It was awkward. I have used this facility many times and they are quick and efficient. I had a problem with tire pressure one time but the manager quickly fixed that problem. Friendly, professional, confident in abilities. They got me in and out as fast as possible, knew what they were talking about and let me watch what they were doing under the car. They had knowledge on what they were doing. Told me everything that they were going to do. They were really friendly. the assistant manager (girl) was friendly and professional and very knowledgeable. Service was fast. All the technicians were very friendly, worked quickly and were very courteous. Unfortunately it cost over a hundred dollars for an oil change so I'd say that was expensive. i was extremely pleased with your employee, Cici, who welcomed me. She was pleasant and not pushy, very knowledgeable and explained everything that was being done to my vehicle. She stayed there the entire time and was a joy to talk to. She's a very upbeat and positive person-something you don't see with the "younger kids" these days. Very refreshing! No wait- quick-easy. Didnt even have to get out of my car. Chuck serviced my car and was FANTASTIC you have a great person working for you!! The customer service rep was great, helpful and very nice. Have used this particular location on a regular basis since moving to Maryland. Service is always prompt and the staff is friendly and capable.